Antivirus notices and records suspicious activity, then sends to the cloud. The cloud analyzes and compares against known malware and reports back to your computer. Antivirus tells you about the suspicious activity, then quarantines and cleans up dirty files. What is it McAfee® Cloud AV? 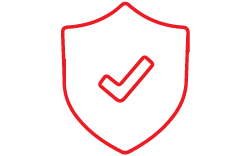 McAfee® Cloud AV is a tiny app with the power to protect your whole PC from viruses, malware, and spyware. It works quietly and stays out of your way. We’ll only send important notifications, and won’t ambush you with surprise scans. How is McAfee® Cloud AV so small? McAfee® Cloud AV protects your computer from the cloud, so only a tiny file needs to be on your computer. How small is it? It only takes up 60MB on your computer — 75% less than other antivirus apps. That’s small! What makes McAfee® Cloud AV different from other antiviruses? Most antivirus solutions use blacklisting, which requires a suspicious file be identified by name before it stops them. This process is difficult, and leaves you exposed to viruses that are brand new. Instead, McAfee® Cloud AV looks at the behavior of files to determine if they’re malware. Suspicious activity triggers a stop for both known and unknown culprits — simply acting like malware sets McAfee® Cloud AV into action. In addition to the virus protection leveraged via cloud-based behavioral detection, McAfee® WebAdvisor reduces your chances of being infected by warning you when you try to visit a web page known to distribute malware. This combined detection gives you world class protection. McAfee has offered award-winning antivirus for decades — in fact, we’ve been doing it longer than anyone else. 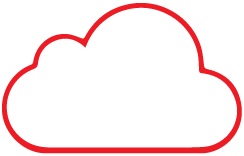 McAfee® Cloud AV takes a new approach to fighting malware by using the cloud. With its lean, powerful build, McAfee® Cloud AV is our smallest full power antivirus yet.